Customers keep telling us how useful are Excel reports in Power BI because ease of sharing and because of the embedded Excel goodies such as Pivot Tables, conditional formatting and drill-down to data. 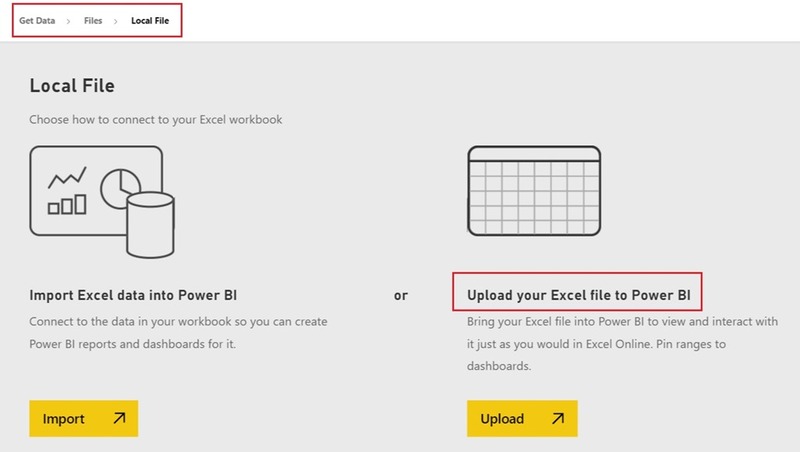 Today we enhance the ability to upload Excel reports to Power BI beyond files that are stored in OneDrive. Now it is possible to upload Excel reports to Power BI from everywhere, in particular from your local drive or from other storage services. 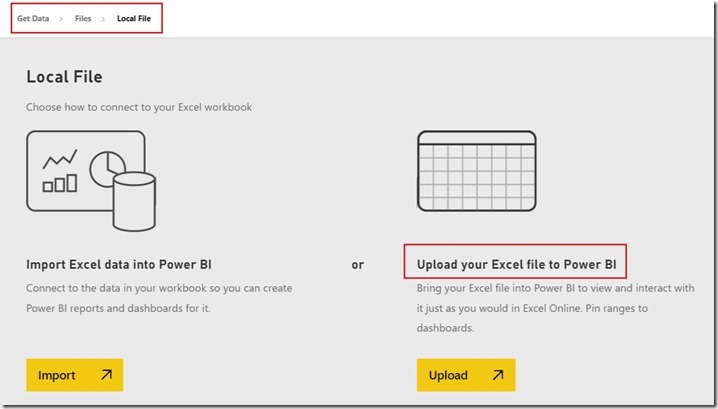 While uploading Excel reports from OneDrive will keep being an important use-case, the new upload from local files capabilities will enable non-OneDrive users to benefit from Excel reports in Power BI. At this first step, data connections refresh is still not supported for Excel reports that are uploaded from local files, we are working to implement this capability in the next step. For further reading look at the documentation page. Your feedback is welcome in the Power BI community.